The Hart family's SUV was found on March 26 at the bottom of a cliff off Highway 1 near Westport, California. WESTPORT, Calif. – Authorities say Jennifer Hart was drunk behind the wheel when a vehicle carrying her family crashed at the bottom of a cliff on the California Coast in March. Mendocino County Sheriff Tom Allman on Friday said toxicology results showed Hart's blood alcohol content was 0.102, above the legal driving limit of 0.08. 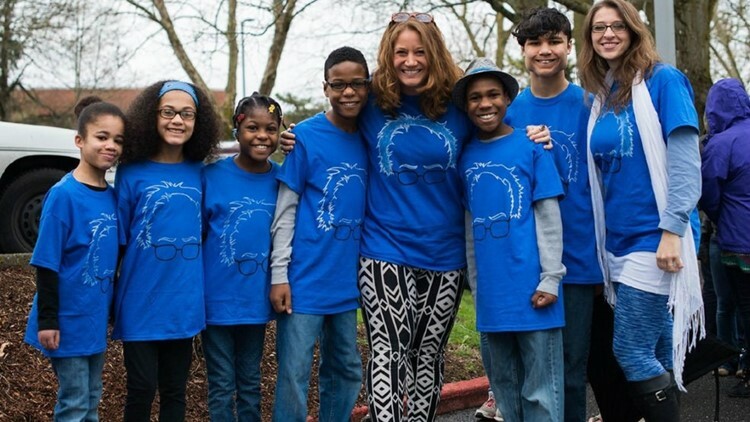 The crash killed Jennifer, her wife Sarah, and at least three of their adopted children, 19-year-old Markis Hart, 14-year-old Jeremiah Hart and 14-year-old Abigail Hart. The Hart family. From left, Hannah Hart, Abigail Hart, Sierra Hart, Jeremiah Hart, Jennifer Hart, Devonte Hart, Markis Hart and Sarah Hart. The toxicology results also showed Sarah Hart and two of the children had a "significant amount" of diphenhydramine in their systems. Diphenhydramine is an ingredient primarily used in Benadryl, a medication to treat allergies that also causes drowsiness. California Highway Patrol Ukiah Cpt. Bob Carpenter said it hasn't been determined if the third child also had the same ingredient in their system. "We really don't know. I think Benadryl is commonly used for allergies as well so we really don't know," Carpenter said. "Until we dig into it a little deeper and find out some of their history...we won't know." Investigators believe the family's other three children, 15-year-old Sierra Hart, 16-year-old Hannah Hart and 15-year-old Devonte Hart were in the SUV at the time of the crash but their bodies have not been recovered. However, a body was recovered on April 7 in the "immediate vicinity" of the crash site, north of Westport, Calif. off of Highway 1. Investigators are awaiting a positive identification of the body, which could take weeks. "Because fo the time in the ocean, the facial features were not there to allow the [biological] family to identify," Allman said. Investigators suspect the body is one of the two missing Hart family girls. The vehicle was found on March 26 and investigators have said they believe the crash was intentional. CHP said the Hart family SUV's on-board computer showed the vehicle stopped at a gravel pullout and then accelerated over the cliff, a distance of about 70 feet. A CHP spokesperson described it as: "Pure acceleration all the way." Allman said "there were no skid marks, there were no brake marks." In Friday's press conference, Carpenter revealed the family, who lived in Woodland, Washington, stopped in Naselle, Washington. He didn't say when the family stopped there and didn't know why they did. But it provided a little more detail of the family's travel route to California. The family was in or near Newport, Oregon at around 8:15 a.m. on Saturday morning, March 24. They traveled from there to State Route 1 in Legget, California, and continued to travel south along SR 1 until they reached the Fort Bragg area around 8 p.m. Saturday, where they remained until about 9 p.m. Sunday, March 25. The family arrived in Fort Bragg, California, on the night of Saturday, March 24, and were there until Sunday night, the day before their SUV was found. 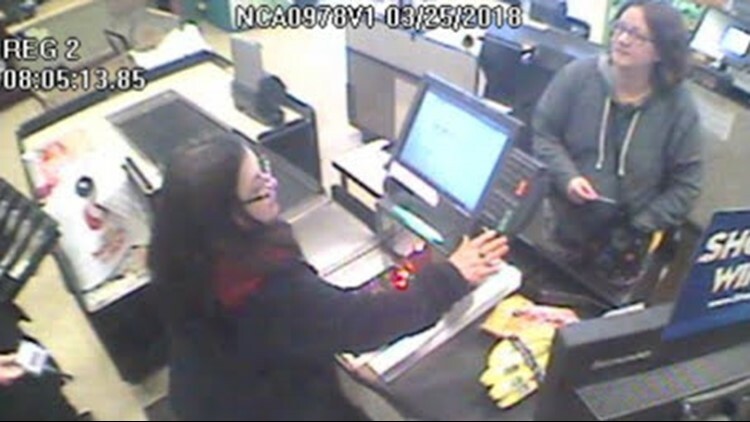 A surveillance image from a Safeway in Fort Bragg shows Jennifer Hart purchasing bananas and other groceries on Sunday morning at 8:05 a.m.
Cheryl Hart, who identified herself as a friend of Sarah Hart, called 911 in Clark County on Monday, March 26, worried because she hadn't been able to reach Sarah since receiving a text message from her at 3 a.m. two days earlier. Cheryl Hart told the 911 dispatcher at 1:15 p.m. on March 26 that Sarah sent her a text message saying she was feeling sick, wouldn't be able to work, and might have to go to the doctor. Cheryl Hart said she hadn't been able to reach Sarah or Jennifer after receiving the text message. Sarah's text was sent hours after Child Protective Services visited the Hart family home in Woodland on March 23 to follow up on a call from neighbors reporting that the six Hart family children were not being fed. Sarah Hart pleaded guilty to charges of domestic assault in 2011, after police in Minnesota said she hit one of her daughters. The Oregonian reported that the school district in Minnesota said Sarah and Jennifer Hart pulled their children out of school after the incident and began home-schooling them. In 2013, a former friend of the Hart family told child welfare officials in Oregon in 2013 that Jennifer and Sarah Hart deprived the kids of food as punishment. On Friday, March 23, Bruce DeKalb and his wife, next-door neighbors to the Hart family in Woodland, Wash., called child protective services and reported that 15-year-old Devonte Hart had come over to their home multiple times asking for food. He asked if the couple would hide food for him and his siblings. 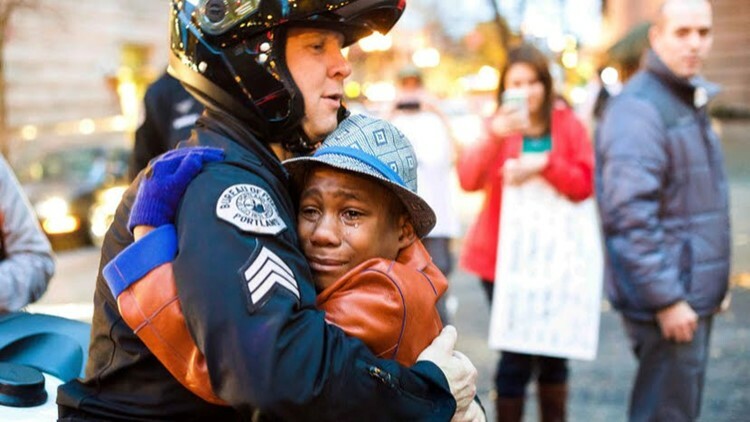 Devonte, who captured the hearts of America in November 2014 when a photo of him hugging a police officer during a Ferguson-related rally in Portland went viral, told DeKalb and his wife that his parents withheld food as punishment. “It was upsetting,” DeKalb said. “We were trying to make sense of it. We played it out for nearly a week, then we decided there was no end to it, so we probably needed to get professional help." Child Protective Services in Washington confirmed they opened an investigation into the Hart family on March 23. A search warrant was conducted at the family's home in Woodland on Thursday, March 29. Baarts said items were retrieved from the home during the search, including computers, credit cards and bank statements. During a Sunday night teleconference with media, CHP said there was no note left behind and no obvious indicator in the Hart's home to explain what happened. Authorities said the home was "neat and in order" with "no obvious signs of violence." Animal control seized one cat, several chickens and ducks from the home, Clark County Animal Control told KGW. The arriving officer said it appeared two dogs also lived at the home but were not present. The biological aunt of three of the six children adopted by Jennifer and Sarah Hart tried, and failed, to gain custody of the kids in Texas before they were placed in foster care and later adopted by the Harts. 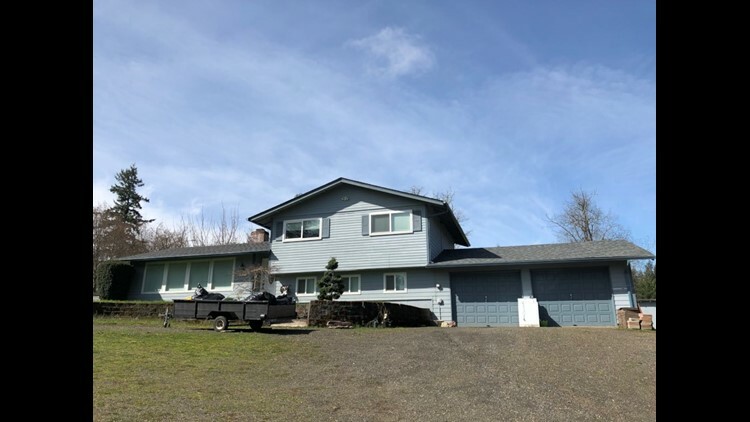 The Oregonian obtained court records from Texas that shows the paternal aunt of Devonte, Sierra and Jeremiah Hart repeatedly tried to gain custody of the kids but was denied in 2010.